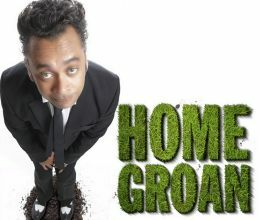 After a sold-out national tour leaving many a funny bone shattered in his comedy wake, Kurt Schoonraad returns to the Baxter Theatre with his one man comedy show Home Groan. Directed by Rob van Vuuren, and a brand new set, Kurt tackles the absurdities of everyday life from men's waxes, alien abductions, super heroes and many more characters that float around his wacky head. Kurt is no stranger to the comedy circuit, appearing in many local and international comedy festivals and has had� significant roles in popular SABC TV series;� the� quirky accidental tourist in Going Nowhere Slowly,� the whacky protagonist in Crazy Games (2006-09) and was one of the first celebrities to feature in Who Do You Think You Are?� He also pioneered the successful Jou Ma se Comedy Club and, from his hilarious childhood growing up in the Flats to his equally hilarious present, Kurt discovered that coloured people are taking over the world !! Venue: Baxter Theatre, Main Rd, Rondebosch. Tel: 083 915 8000.